I am currently in the process of remodelling my Etsy shop. I decided to share my patterns because I don't have the time anymore to make them myself. 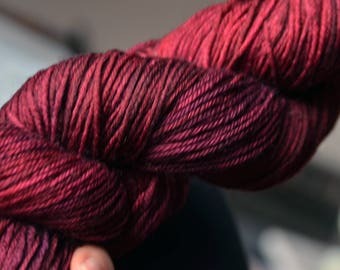 I also love fiber arts and recently started learning hand spinning and dying my yarn. Soon they will be up on this shop for you to buy! Each item is handmade with love and care! I design my products myself and the money I earn goes to my Artschool funds! Lovely hat, nicely packaged, prompt delivery. So beautiful. And excellent communication from her. Love love love!!!! Granny Square Slouchy Beanie: Made to order! Choose your own colours! I'm very pleased with these! They feel amazingly soft, the colours match very well and the size is perfect. They fit over my coat, even when I wear a thick sweater under it. Got it very swiftly after my order (which included a capelet too). I'll add a photo when the light is less gray outside, so the photo shows off the colours nicely. Arm Warmers Fingerless Gloves Hippie style: Made to order! Choose your own colours! Super happy with it! Keeps my shoulders warm while gaming in winter - very soft and warm, the colours match perfectly, great overall product! Forest Capelet: MADE TO ORDER! Handmade Mixed Striped Choose Your Own Colours! You will never see the same Capelet twice, because I designed it and crochet it freeform mixed stripes style. The armwarmers match well with the hooded Capelets and are of the same design. The pixie hat is crocheted with yarn that is never the same, so the colours of the outcome is a surprise every time! A nice light and warm bohemian slouchy hat that will finish your boho look for the fall. Green Earth Tree of Life barefoot sandals with colourful beads and silver charms. What started as a hobby, a way to relax, has now grown into a little shop where I try to design nature inspired products I love to wear myself. I am an artist and have recently been accepted at an Art school that will cost me a lot of money. It has been my dream for years to go here :). Unfortunately I didn´t succeed in finding a job up untill this point. So now I´m trying to earn a little bit of money by making things I hope other people like, while I still continue with the job searching part. All the money that I earn with my little shop here on Etsy goes to my Art school fund, except for some material costs. If you are buying one of my items, you are supporting my dream, thank you for that!! !